The Six Million Dollar Man owned sci-fi TV in the 1970s, when Steve Austin was the biggest and most expensive hero on the tube. 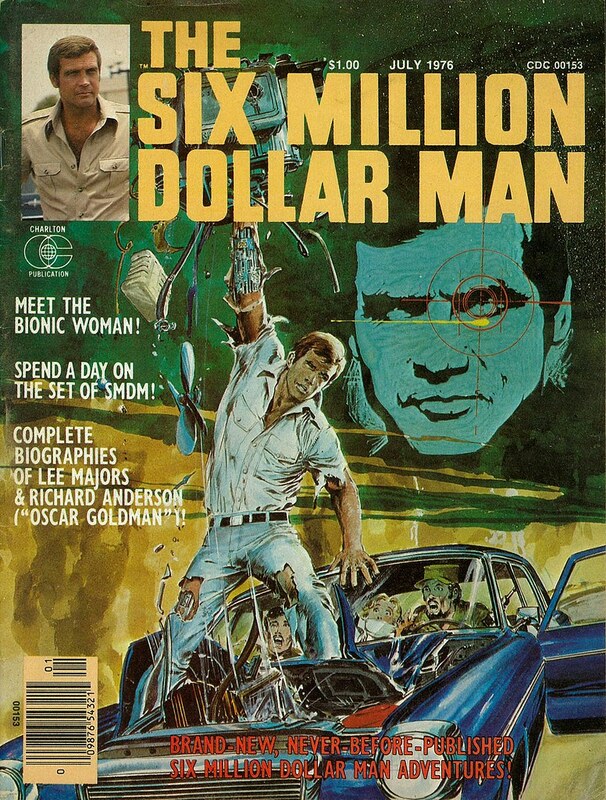 Neal Adams did this painting for a magazine sized Six Million Dollar Man comic published by Charlton. It appeared on newsstands right next to Creepy, Vampirella, Dracula Lives, and Mad. Adams gave a pretty awesome display of Austin's bionic strength, ripping that engine out of the hood like it was made of tin foil. If only the TV show had been able to display that! 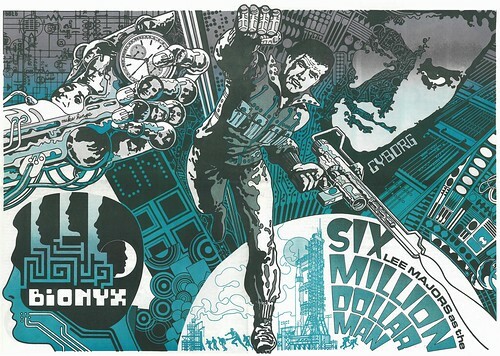 Mike Hinge did this double page splash poster (for Jim Steranko's MediaScene magazine #10 in 1974) that makes Steve Austin look more like Nick Fury 2.0. The cool element here is that raw metal cyborg hand holding out the watch on the left. If only they had painted the Bionic Woman, too. Nuff Said!